Gaston Nuyts participated in the Eurovision Song Contest on one occasion, leading the orchestra for the Belgian entry in 1965, ‘Als het weer lente is’, which was performed by Lize Marke. This Belgian song finished joint-last, together with the entries from West Germany, Spain, and Finland. Initially, Gaston Nuyts pursued a career in trade, studying at a commercial school and working as an office clerk. He experienced many of the cruelties of war after he had been recruited for the Belgian army upon the German invasion of 1940. From his early youth onwards, Nuyts had developed a love for music, mastering the guitar. In 1935, he started taking private theory courses; in the years that followed, he graduated in harmony, counterpoint, fugue, composition, music analysis, and conducting. In 1942, he decided to give up on his office job altogether and joined various Antwerp nightclub orchestras as a guitarist and double-bass player, most notably in the Bali club in Borgerhout (Antwerp). He had already been working as a guitar teacher for some years by then. As a guitarist, he imitated the style of Django Reinhardt, with whom he was well acquainted. 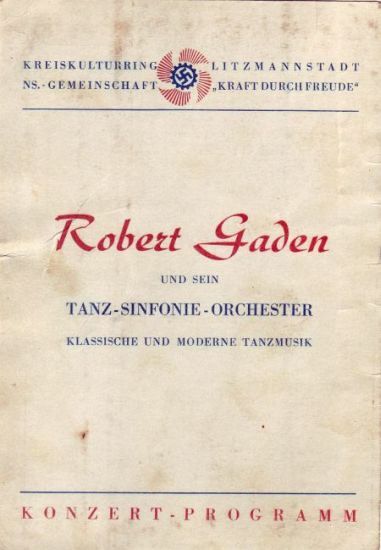 In 1943, a particularly unpleasant episode ensued, when he was forced into the Robert Gaden Orchestra, consisting of forty non-German musicians (including a Jewish oboist, Roland Dufrasne). The orchestra performed in occupied parts of the continent with a programme entitled ‘The History of Dance Music’; Nuyts toured with Gaden in as far away as Berlin, Sudetenland, Poland, and the occupied Czech territories. During those same war years, Nuyts gained valuable experience as a composer, conductor, and arranger, writing scores for all kinds of ensembles. Later onwards, after war’s end, he penned his first arrangements for fully-fledged symphonic orchestras. As a guitar soloist, he worked with many important conductors, including Nino Nardini, Georges Prêtre, Elehazar de Carvalho, Pierre Boulez, Robert Stolz, Bruno Maderna, and Vinko Globokar. Nuyts performed with the National Orchestra of Belgium, the Royal Flanders Philharmonic, and, most importantly, the NIR Symphonic Orchestra. Between 1948 and 1955, he worked as a guitarist and arranger for the Alhambra Theatre Orchestra, Brussels. 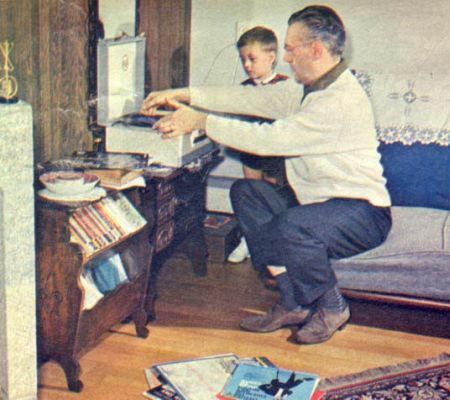 From 1950 until 1983, Nuyts worked for Flemish national broadcaster NIR (later renamed BRT), initially mainly as a guitarist in various radio ensembles, amongst which the Amusementsorkest (Variety Orchestra) of Francis Bay (1955-’56). In 1956, he was part of the Benero’s Orchestra led by Jozef Verhelst, which represented NIR at the Golden Gondola Festival of Venice and won first prize by beating the West German entry, performed by the Helmut Zacharias orchestra; moreover, the Belgian team walked away with the Silver Gondola for best song of the competition as well, ‘Venezia’ (composed by Hans Flower and sung by Jean Walter). Nuyts had written a considerable part of the arrangements for the victorious Belgian show programme. Besides his work as an arranger, gradually, Nuyts was given more and more commissions as a composer and conductor for national radio and television, working on – amongst other things – the TV concert series World Melodies (1960-’61), for which he arranged and conducted all music and in which he accompanied international stars from the United States, Italy, Ireland, Austria, Germany, Israel, and South Africa. Nuyts received ample laurels for his work on this series, being awarded the Bert Leysen award for the music he arranged for one of the programmes, ‘Deep river’; one year before, a TV Oscar had been conferred upon him for his contribution to another part of the series, ‘Hemelhuis’, highlighting the compositions of Emiel Hullebroeck. He conducted music programmes such as ‘Melodies of Armand Preud’homme’, ‘Close-ups of Flemish composers’, and ‘Cocktail’. In the course of his long career with Belgian television, he accompanied Flemish artists such as Bob Benny, Jo Leemans, Will Ferdy, Louis Neefs, and Jacques Raymond, as well as international stars including Chet Atkins, Floyd Cramer, Eddy Calvert, Anita Kerr, Dalida, Conny Froboess, Esther Ofarim, Udo Jürgens, and Engelbert Humperdinck. 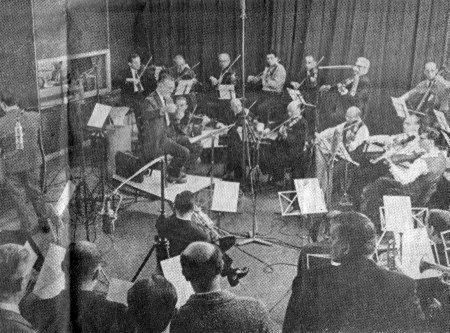 As a result of fruitful contacts between the Belgian and Dutch delegations during the 1958 World Expo in Brussels, an exchange programme was initiated in which musicians of Dutch broadcaster NTS were given the opportunity to work temporarily at NIR, and vice versa. Gaston Nuyts was one of the Belgians who worked in Hilversum for some time. The quality of his work did not go unnoticed there and he became a regular in the Netherlands TV industry; for more than fifteen years, Nuyts was often called upon by several of the Dutch broadcasters, especially catholic KRO, to conduct their TV orchestras. Working under the pseudonym of Tony Vess, he was the musical director of ‘Zaterdagavondakkoorden’ (1961-’62) and ‘Tijd voor Teddy’ (1962-’63), popular live music show programmes produced by Jos van der Valk and hosted by none other than 1959 Eurovision winner Teddy Scholten. For these shows, he conducted the orchestra for such internationally acclaimed artists as Frankie Vaughan, Vera Lynn, Josephine Baker, and many others. He also was the conductor of the Boyd Bachmann Shows as well as a string of other programmes. Most famously, with a combo of twelve musicians of which he was the conductor, Nuyts worked on the immensely popular televised KRO circus show ‘Piste’, which ran for an incredible sixteen years (1959-1975) and was broadcast in Belgium and Switzerland as well. Moreover, he worked with studio orchestras in England, Denmark, and Sweden, with which he recorded music used for radio and television shows in the Netherlands, Belgium, and West Germany. He performed as a guest conductor at Sender Freies Berlin. Gaston Nuyts’ professional activities were not confined to TV and radio. He conducted orchestras in theatrical performances in Belgium and the Netherlands. He ranks among Belgium’s most experienced choir conductors, as well. Besides, he arranged and conducted studio orchestras during recording sessions with some of the most renowned Flemish and Dutch light entertainment artists, such as Bobbejaan Schoepen, Corry Brokken, Bob Benny, Louis Neefs, Jo Leemans, Jacques Raymond, Nicole Josy, Jan Verbraeken, and Jean Walter. As a composer, Nuyts has been immensely productive, with an oeuvre to his name of hundreds of orchestra pieces, chamber music, music for wind bands, light entertainment songs, fifteen children’s musicals, and a large number of classical and light choral works. “I’m interested in music in the broadest sense of the word, no matter if it is pop, classical music or anything in between, as long as it is good and genuine”, Nuyts explains. He wrote the popular schlager classic ‘De Kaspische Zee’, which was recorded by Jaak De Voght; the song reached the number one spot in the Flemish charts in ’56. Some of the work Nuyts composed, most notably ‘Vlaanderen’ (lyrics by Louis Verbeeck) and the suite ‘Tyl Ulieden Spieghel’, has been among the most popular at folk song festivals in Flanders. The former song was originally performed in 1970 at the 7th Europeade, an annual festival of European folk culture, in Herzogenaurach (West Germany). Among the classically orientated choral compositions Gaston Nuyts wrote, ‘Mária Lécina’ (for mixed choir, 2007), an adaptation of the eponymous poem by J.W.F. Werumeus Buning, deserves special mention. In 1966, Nuyts was awarded with the Franz Andelhoff Prize for his folk song arrangements. Ten years later, the Province of Antwerp Composition Prize for Chamber Music was conferred upon him for his piece Bi-Triptychon for flute, violin, bassoon, and harpsichord. His 2002 composition ‘Canticum Canticorum Salomonis’, which he wrote for the mixed choir Musica Nova, won the 2005 Golden Tuning Fork, an award he received from the European Choral Society (AGEC). In 2010, an honorary concert, organized by the City of Antwerp, was bestowed upon him. Besides his work as a creative musician, Nuyts developed a wide range of other professional activities. From 1971 until 1987, he taught tone technique at the Royal Conservatory of Brussels. Between 1955 and 1997, he served the Belgian Association of Authors, Composers, and Publishers (SABAM) in many capacities: commission member, board member, secretary of the board, vice-president, and (1990-1997) managing director. Until 2001, he was president of the Belgian Society of Performance Rights (URADEX). Moreover, he was a member of the World Council of the International Performance Right Organisation (CISAC). Amongst many other functions, he served as the Musical Advisor of the province of Antwerp (1983-1993) and as vice-president of the Belgian Air Force Royal Symphonic Band Foundation (ASBF). He was invited as a juror of composition and performance contests in Belgium and abroad, amongst which choral festivals in the Czech Republic, Hungary, Latvia, France, and the Netherlands and orchestral contests in Bulgaria, Austria, and the former Yugoslavia. 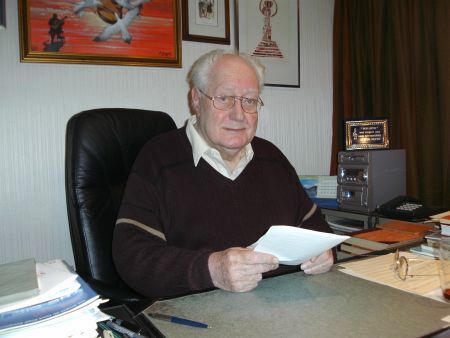 Until the late 1970s, BRT usually gave Francis Bay the task of being the MD of the Flemish Eurovision heats and, subsequently, that of conducting the selected entry in the Eurovision Song Contest proper. 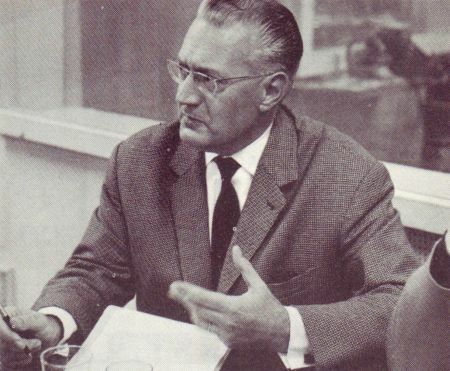 In 1965, however, the BRT board chose the Light Symphonic Orchestra (LSO) to accompany the preselection in Belgium and its conductor Gaston Nuyts as the musical director of the show. The 1965 Belgian Eurovision heats were televised on the 13th of February. For the occasion, Nuyts had composed a slow called ‘Eurosong’, which was used as the intro music of the broadcast. 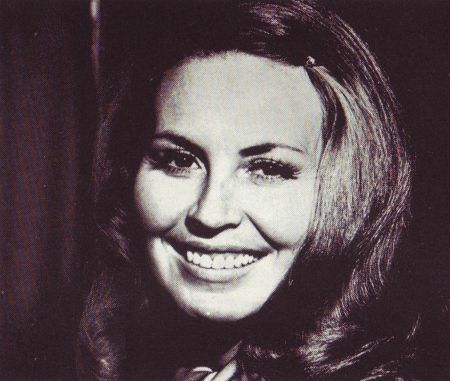 All six competing entries were performed by Lize Marke (pseudonym of Liliane Couck) and ‘Als het weer lente is’, written by Jef van den Berg and Jaak Dreesen, turned out to be the runaway winner. The orchestration to this song had been written by Oscar Saintal, at that time the principal arranger for Adamo. Together with the entries of West Germany, Spain, and Finland, Belgium ended up with no points at all in this 1965 contest, which was won by Luxembourg’s France Gall and her ‘Poupée de cire, poupée de son’. Gaston Nuyts tries to analyse what went wrong with the Belgian entry: “Lize Marke was a beautiful woman graced with a good voice. No, the song itself was the real problem. Of course, it was melodious and gracious, but even at that time, it sounded quite old-fashioned. Although I thought we would have deserved a couple of points, realistically, we had come up with something belonging to a genre of entertainment music that was no longer in demand. Since the early 1960s, beat music was what the public wanted and ‘Poupée de cire’ was exactly that – thus, its victory was logical. I want to stress explicitly that I have never looked down upon beat songs. The Beatles, for example, produced very good music indeed.”. 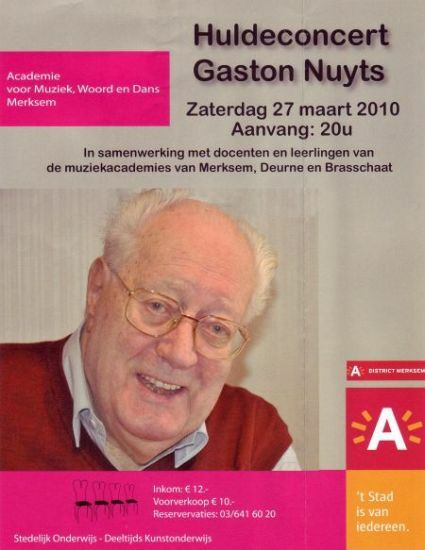 In order to compile this biography, Bas Tukker did an interview with Gaston Nuyts, January 2010. All pictures courtesy of Gaston Nuyts. Thanks to Teddy Scholten, Lize Marke, and Jack Say for their comments. Unfortunately, no website on Gaston Nuyts exists.